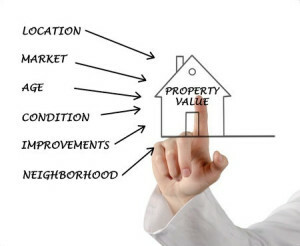 “An appraisal is a professional appraiser’s opinion of value. The preparation of an appraisal involves research into appropriate market areas; the assembly and analysis of information pertinent to a property; and the knowledge, experience and professional judgement of the appraiser. Appraisals may be required for any type of property, including single-family homes, apartment buildings and condominiums, office buildings, shopping centers, industrial sites and farms. Why Is A Real Estate Appraisal Necessary? For banks and other types of mortgage lenders, a real estate appraisal may be required to comply with laws related to lending practices. In 1987, Congress passed the Financial Institutions Reform Recovery and Enforcement Act (FIRREA) which required, among other things, that a real estate appraisal be performed by qualified individuals for all “federally related” real estate transactions. Mortgages are considered to be “federally-related” if the mortgage is guaranteed or insured by the government through such entities as the Federal Home Mortgage Association (aka “Fannie Mae”) and the Federal Home Loan Mortgage Corporation (aka “Freddie Mac”). For mortgage lenders, a real estate appraisal is an assurance that the property under consideration is worth the credit extended should the mortgage applicant default for any reason. Individuals may wish to hire a real estate appraiser to develop an unbiased opinion of market value for help in determining an asking price for the sale or purchase of a property, to challenge tax assessments, or to assist in matters related to estates. What is the difference between a Real Estate Appraisal and an Assessment? While real estate appraisals and assessments both relate to the value of a property, the two forms of valuations differ greatly both in the manner in which the values are derived and in the intended purpose of the valuation. Assessments are used to form the basis of local property taxes while a real estate appraisal is used to determine the most likely sales price the property would bring on the open market. Assessments are developed by tax assessors using mass appraisal techniques that compare the values of groups of properties as of a given date and form the basis of the property tax levied by the local taxing authority. While Wisconsin law requires an annual assessment (collection) of taxes, tax assessments (the comparative valuation of properties) in the state are updated at least once every five years according to property classification such as residential, agricultural, forest, etc. A real estate appraisal involves a more timely and detailed examination of an individual property and is used to determine the current market value for mortgage lending, or decisions related to buying and selling. An appraiser will take photographs, draw sketches and make notes of important individual property characteristics for use in comparisons to other, similar properties that have sold within six months to a year.